Alain Ambrosi and Frédéric Sultan: “How would you define commons in one sentence?” “Remix The Commons”1 saw the light of day in 2010 when we shouldered a video camera and started asking many people from different social and educational backgrounds, cultures, and with various ranges of experiences this “little” question. And we received quite spontaneous answers, as if everyone had a profound insight about the concept. Of course, the responses are as diverse as the people we interviewed, and although always incomplete, each answer contributes a building block that dovetails with other building blocks to form a definition of commons. At a commons festival in Helsinki in 2014, we had to reformulate the question so that we could pose it to a Lithuanian dancer: “How would you dance commons?” Her spontaneous response: “But that’s impossible alone!” Then she invited the interviewer to participate in a “moving” commons definition. By August 2014, our collection had grown to more than 100 brief definitions in thirty-five languages from about forty countries. Naturally, we also included definitions that are more precise and elaborate and that reflect the long practical experience of commoners and the research findings of commons theorists. All of these substantial and diverse answers to our simple question illustrate both the universal character of commons and the difficulties arising when one tries to both delineate such a definition while keeping it open and dynamic. And they made clear to us that an intercultural perspective is indispensible. Remix The Commons considers itself a place of intercultural encounters, sharing, and joint production of video and audio documents, short films, and media and cultural projects about commons. The initiative is supported by an international collective of people and organizations convinced that collecting, exchanging, and remixing stories and images about commons is an active, sociable way to get to know the concept and make it one’s own. Remix The Commons itself works like a commons. The work is organized around an open and collaborative platform which is a website that enables storage, exchange, cataloguing, remixing, and dissemination of multimedia documents. We also always find places and opportunities that make it easier to jointly develop concepts for media productions and to design and breathe life into them. In other words, an intercultural, free and collaborative catalog of multimedia documents on the commons is available to commons practitioners, academics, educators and cultural activists. They can use it and enrich it with contributions of their own. The history of the project is closely linked to the emergence of the commons in the current societal debate and in the proposals put forward by social movements since the crisis of 2008. An initial draft was presented at the International Commons Conference (ICC)3 in November 2010. It was based on the video documentary of the interdisciplinary meeting on “Science and Democracy” that had kicked off the World Social Forum in Belém in Amazonia in January 2009. The commons had a place at the final session of this World Social Forum, and the manifesto “Reclaim the Commons”4 was published in several languages on this occasion. That same year, the academic community saw Elinor Ostrom awarded the Nobel Peace Prize for her work on the commons, and the documentary “RIP: A Remix Manifesto,5 which pays tribute to humanity’s creativity as the outcome of collaborative creation in space and time, circulated in the independent cultural scene. Remix The Commons is maintaining its close connections with the international meetings of social movements, and this colors the development and realization of our concrete projects. We participated in the discussions and documentation of the commons at the World Social Forums in Dakar in 2011 and in Tunis in 2013, at the Summit of the Peoples at Rio+20 in Rio de Janeiro, and at the Afropixel Festival in Senegal in 2012. We were part of international meetings on social and solidarity-based economic activity as well as open festivals à la Villes en Biens Communs 2013 in the French-speaking countries and Pixelache in Finland in May 2014. We are now concentrating on events that bring out the art of commoning6 and contribute to the development of an international network of commons schools. Our roughly 300 videos have been viewed more than 15,000 times and are constantly reproduced, disseminated and used for many purposes. The videos consist of interviews, case studies, reports about concrete projects and activities, reflections upon them, and theoretical and political statements on commons. The videos also consist of a large collection of individual commons definitions in the respondents’ native languages, as mentioned at the beginning of this piece. That collection is currently being mapped on an online map that locates each speaker and his or her statement on a world map, which is very helpful for workshops and educational events about discovering the diversity of commons. Such workshops – for example, “commons breakfasts” or “commons summer schools” – illustrate how collaborative knowledge production works in open networks. As the commons have grown in visibility on the international stage of culture and politics, Remix The Commons is constantly adapting to the rapid shifts in sociopolitical contexts. This is evidence of the agenda-setting power of a movement that is still very heterogeneous, but is increasingly influencing socioeconomic and political agendas. Amidst this veritable cultural revolution, Remix The Commons is committed to using the Internet to shape new cultural interest in commoning and to develop new methods of communicating these trends. This requires that we meet numerous challenges, for example, countering “commons-washing,” which seeks to trivialize the innovative and revolutionary character of commons. We must also confront incessant enclosures of information and natural resources, and devise joint strategies, collaborations and means of communication for commoners in the cultural arts and trades, education, and communication in order to share knowledge. In George Pór’s words, “We have to raise our culture of communication to the level of commoning” – and make it as intercultural, user-friendly, participatory and inviting as possible. Alain Ambrosi (Canada) is a designer and producer of intercultural projects, independent researcher, author, videographer and producer of the Remix The Commons Project. His long involvement in improbable international collaborations has led him to aspire to the status of utopian’s apprentice. 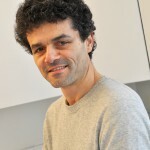 Frédéric Sultan (France) is a French commons activist. 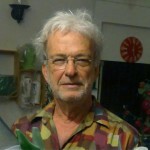 He co-facilitates the Francophone Network for the Commons, launched in 2012, and helps people create or claim commons in their communities through cultural and educational actions. 2. ↑ On the connection between commons and the Andean concept of buen vivir, see “El buen vivir and the commons: A conversation between Gustavo Soto Santiesteban and Silke Helfrich” in David Bollier and Silke Helfrich, eds., The Wealth of the Commons. A World Beyond Market and State (Levellers Press, 2012), pp. 277-281, available at http://wealthofthecommons.org/essay/el-buen-vivir-and-commons-conversation-between-gustavo-soto-santiesteban-and-silke-helfrich. 3. ↑ http://www.boell.de/en/node/277225. See also http://p2pfoundation.net/International_Commons_Conference_-_2010. 5. ↑ A documentary by Brett Gaylor on critical reflection of copyright in the era of digital technologies. The film accompanies the mashup artist Girl Talk, shows interviews with, among others, the then Brazilian Minister of Culture and world-famous artist Gilberto Gil as well as US law professor Lawrence Lessig, one of the founders of Creative Commons. Available at: https://www.nfb.ca/film/rip_a_remix_manifesto.